You have more options for martial arts classes for kids if you live in Castle Rock, Co. / Douglas County area. 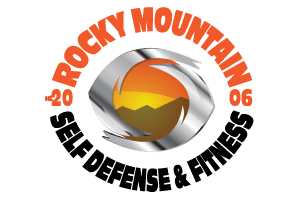 Rocky Mountain Self Defense & Fitness offers Krav Maga classes for kids ages 3.5 yrs and up. Our Kids Krav Maga class focuses on “building Strong Minds & Strong Bodies: It may be a better choice then the traditional Karate class for kids. Why Kids Krav Maga over Karate Classes for Kids? We teach respect and discipline just like traditional Martial Arts. Kids Krav Maga is a very practical self defense system. We believe in teaching kids techniques they can in a real world situation. Krav Maga classes for kids will give them the skills they may need to protect themselves now or when they are off to college and the real world living on their own. We have two locations Castle Rock & Meridian Village. To help serve you better. Still not close enough we are looking to expand let us know where the demand is. We offer classes Mon- Thurs. our belief is not to burn out families or kids who often time are over scheduled or have kids in other activities. Most kids train in kids Krav Maga 2 days per week. Our Kids Peaceful Warrior program gives those who want to workout more the chance to do so. Check out our schedule page here.